My Journey to Fit: Baladea Workout DVDs Review and Giveaway! Baladea Workout DVDs Review and Giveaway! Today I have a review and giveaway of Baladea workout DVDs - it's a fitness and wellness system that combines stress-reduction with workouts to help you get fit. I'll be honest - I'm not someone who uses DVDs for exercise, and I've turned down many of them for review in the past. But this system intrigued me when I was offered it, plus I know I need to expand my workout horizons beyond just running and the occasional exercise bike ride, so I decided to try it. I was pretty impressed with what you get - seven DVDs plus an additional "hello" DVD that explains the program, a resistance band and bag to store it in, workout calendars, a nutrition booklet with recipes, and a lifestyle guide. Fusion symbols: bare feet, yoga mat, resistance band, yoga block (not really necessary) and friend(s) if you wanted a partner on some of the exercises (again, not necessary). The first DVD I used was the fusion workout. I have to say, I liked it a lot. I was surprised, because again, I'm not a DVD workout person...or at least I didn't think I was. This moved through the different exercises fast enough that I didn't get bored, but not so fast that I couldn't "get" the move after a couple of tries. I liked that there was a countdown timer on the television screen showing how much longer there was for each set - you might laugh, but that is important for me to know! I was a little nervous with the leg part because I was noticing my hamstring and I'm still leery of hurting it, so I tried to do each exercise with cautious deliberation. Once we got to the core work, I loved it - lots of planks and some sit ups (which I normally loathe doing) that had you using the resistance band. I started off thinking this was a pretty easy workout but I was soon sweating and my heart rate was up. Afterward, I knew I'd gotten a good workout in. 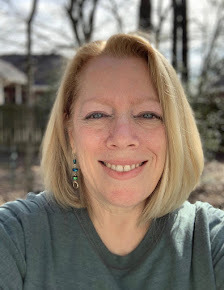 The next day, I was feeling muscles in my legs that I don't feel even after running a lot of miles, which was a good thing - obviously I need to be changing up my workouts to include more muscle groups. My abs were a little sore, but it was all good. But the day after that? Holy DOMS (delayed onset muscle soreness), Batman! Yowza. I did not enjoy that feeling, but it made me even more aware that I needed to have more variety in my workouts. I haven't had time to use most of the DVDs yet, but I like this system, I like the woman who leads the workouts (Holly Perkins - she's energetic without going over the top), and I've been pleasantly surprised at how deceptively intense the workouts are. This system retails for $119.85 with free shipping to the U.S. ($24.95 for international shipping). Not exactly cheap, and I'm not familiar with the cost of other workout DVDs, but considering you get such a variety, plus the resistance band, it doesn't outrageous to me. If you want to purchase this program, click here - full disclosure, I'll receive a referral fee for anything bought via that link. If you'd like to enter to win the Baladea DVD program, just leave me a comment saying what kind of exercise you hate the most (burpees, anyone?). U.S. residents only, please.The randomly-drawn winner will be announced on Friday's post, internet-willing. Comments are closed as this giveaway has ended. 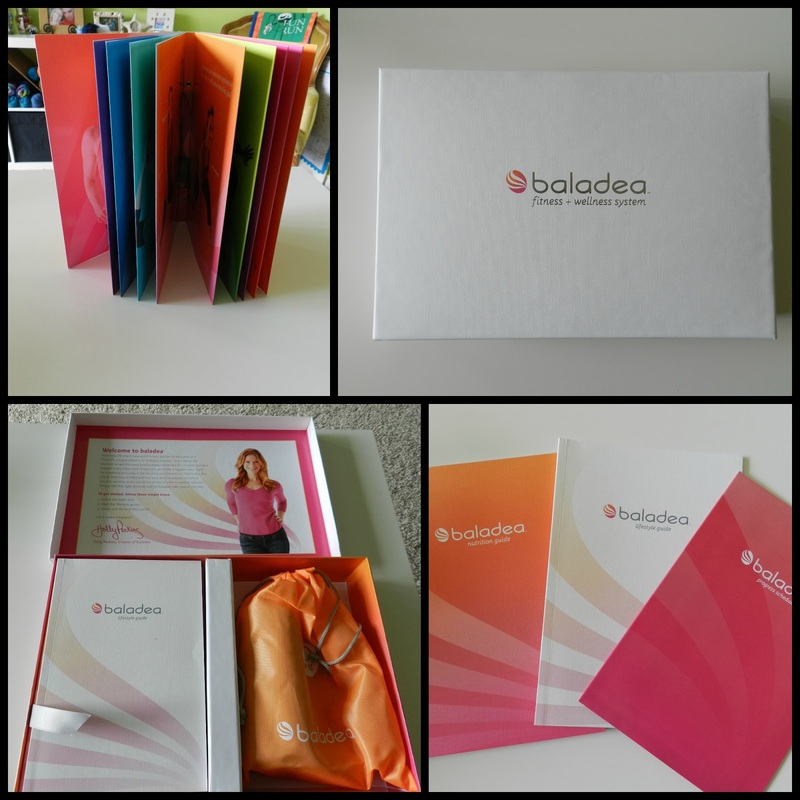 FTC alert: I received the Baladea DVD workout system to review for free; the Baladea PR people will fulfill the giveaway. Damn this is one giveaway I really would love to win. But if it was available for me, I probably couldn't play them because we have different region codes. Hi Fran, the DVDs work in all countries and for all region codes. baladea is the first exercise system that offers this - we thought we'd make it simple for you guys! Thanks! So what about making it even more simple and let Shelley draw me as a winner and you pay the shipping costs :) ? Please count me in! I'm an avid DVD home exerciser, so this set sounds intriguing. As for exercises I loathe, yep, burpees are right up there, as well as their cousin the mountain climber. Squats and lunges....2 days later and using the restroom still feels like a challenge!! I never thought I was a DVD-workout person either...until I started T25 in September. I haven't stopped doing it! This one sounds like it would make a great addition to anyone's routine. In terms of the exercise I hate the most, I'm going with burpees. Some days I can tolerate them if I go slow and other days I want to murder my yoga mat. I can't say I'm a fan of side planks either. It might be a tie! Pushups. I hate them. I know I hate them because I can't do them very well. I'm the loser at the gym that does "standing" pushups on the weight bar thingy. I hate sit ups or any floor ab work really. Count me in!! I do love a good DVD workout system. I have used P90X in the past and need a new workout regiment right now. I hate mountain climbers and burpees!! I've actually been considering the T25 workout just to change things up....so please count me in. This one looks interesting. I'd have to agree with you on the burpees....such loathe for them!! I would love to try this!! I'm in such a workout rut!!! I would love to win this! I think I need to incorporate things like this ...as right now I am only doing cardio. And between the elliptical and the treadmill, I absolutely loathe the elliptical. Ugh! OMGosh I want this. Badly. You had me at "yoga mat". I like working out to DVD systems and this sounds perfect!! I think my least favorite workout move is the (I'm not sure what it's actually called) pike jump. It's where you are on your hands and your feet in an inverted V position, then you have to jump your feet forward and back while keeping your hands in the same place. Confused? Me too. I hate that move. Hate it with all the white hot fury of a thousand burning suns. I feel ridiculous doing it and it makes all my flab jiggle at the same time. Not a great confidence booster!! I do not like lunges in any form - stationary or walking. My knees always hurt afterwards and they say if you do them right your knees wouldn't hurt. So I always sub those when I'm doing a workout that calls for them. Put me in for the drawing, I'm always looking for something new to get through terrible winters like we've just been having! Shelley, this sounds like it would work on the boat! My least favorite exercise right now would be anything intense! I'm not doing anything but walking and the DVD set sounds like a good change. I don't think of myself as a DVD person either, but I would love to give these a try. I don't like most forms of exercise, by my least favorite is any ab work. Count me in - always up for some variety! As for the exercise, I would say pushups and probably side planks - I have basically zero upper body strength (thanks running!) and can't seem to do a side plank to save my life. I. Hate. Lunges!!!! But I love a good DVD workout option. Entry for Diana Grace via email. I don't like any exercise that has me stand on one leg as I have bad balance every since I broke my ankle. It just doesn't move like it should anymore to help with balance. I really dislike pendulum lunges....I always seem to fall over! ha ha! Thank you for the wonderful giveaway. I do different workout dvd's every morning, and I'm really interested in trying this out. Thanks again! I hate pushups! On a positive note, I can do more than I could do a year ago! Making progress! Oh you got it right with the burpees! I hate them so much! This exercise DVD looks interesting. I'm like you, I'm not good about exercising to DVD's. I use to do Richard Simmon's Sweating to the Oldies years ago and The Body Electric. As for my least favorite exercise, it would be push ups. That DVD looks different than a lot out there. I'm always skeptical of the boxed DVD sets... I'd try it though. At for my least favorite exercises- I hate doing jumping jacks. I KNOW they are effective but they just overall hurt me, haha. Ima enter, I am a DVD workout person. (Which evidently makes me a freak with most of your readership. Ha) I'm a Jillian Michaels fan, so this would probably be an interesting change. Oh, & I officially decided last week that I do not dig push ups! They're tough when done correctly. Would love a chance to win this well thought out well rounded DVD series. After hurting myself doing repetitive, extreme workouts, I love that there is something different every day of the week. Also, the yoga, fusion and calm workouts is just what's needed for this 50 something's wellbeing. Exercise that I hate....anything overly extreme! The worst is jumping split lunges...my knees and lower back are not fond of these. Count me in! My least favorite exercise is probably the pushup or possibly the side plank. I just never can seem to get those down right! This system I definitely would love to win. Any exercise that involves jumping, I have a hate love relationship. It increases heart rate fast and burns the leg muscles. I would love to try this system. I had foot surgery in January and am now battling getting back to exercise and the gain that came along with being laid up. TRX - I believe it was developed by Navy Seals trying to stay in shape on submarines - as I pointed out to my trainer I am not a Navy Seal and we are not on a submarine. I hate push ups thanks to a terribly mean gym teacher in 1st grade who would make everyone else stop and watch me finish mine. Wow! 39 comments so far. Well, I might as well throw my hat in the ring. I hate squats. I won't even do most of them. Still do wall squats cause the PT said to. But that's all! I would have to agree with you on the burpees. I HATE them! I would love to try this. Sometimes you need a home workout for convenience or for travel. Push-ups and burpees are my least favorite but they are so good for you! Please enter me into the contest! I love almost all exercise, except I really dislike bicycle crunches because they are very uncomfortable for my neck. I do russian twists now instead! Please count me in!!! I'm down ~20 lbs and ready to add some exercise into my life. I don't know that I'm ready to be responsible for creating my own workout plan. I hate lunges. Not only are they uncomfortable I don't feel they do a lot of me. I get more out of squats and other leg exercises. I hate the treadmill!!!!!! Never ending! Squats, definitely squats. They do a number on my knees. Exercise I hate? Pull ups. I have weak wrists, so despise push ups and chair dips the most! Holly is awesome...would love this set! Can someone tell me what a burpee is? Sounds like it might be a good thing that I don't know! Anything that requires fast jumping. I really hate lunges. They are way too awkward and uncomfortable for my body so I try not to do them. Thank you for having this great giveaway! I hate push-ups! I hurt my shoulder doing squats (no clue how) and since then push-ups are a real struggle for me. Squats are my nemesis! My son was talking about his gym class one day and said they did "explosive squats". Not knowing what these are, I could only imagine a room full of 12 year old boys squatting and farting away! I still don't know what explosive squats really are. I would have to say that sit ups are the absolute worst exercise.